We are pleased to offer you the following Coil car and un-coiler for your immediate consideration. COIL ID: 19" to 23" and COIL OD: 72"
Centerline of Mandrel to floor: 52"
Approx. Travel of Sliding Base: 4"
Length of Two Powered Holddown Rolls: 45"
Approx Coil Car Height from Bottom of "V": 13"
Delta Model CC-4024-000 "L" Type Coil Car with SN# CLC-03 with a 24" Hydraulic Lift. TM wants your surplus equipment. We are always looking for surplus equipment to purchase. Click here to E-Mail us your surplus equipment list or call and fax us as we are alway purchasing used industrial product plant equipment for resale to domestic and overseas clients. Below you'll find some newly pruchased used industrial presses and associated material handling accessories available for immediate delivery. Unique opportunity to own 5 complete working automotive industry stamping presslines at final liquidation prices. Everything must Go! A major automobile manufacturer has contracted with Techmachinery.com to liquidate all, or partial lots, of one of their local Detroit production plants. Power-on inspections now taking place for 10 major presslines of varying capacities, and all miscellaneous metal stamping equipment in this plant. This is a once in a lifetime opportunity to buy well maintained working metal stamping presses for pennies on a dollar invested by a big 3 auto manufacturer. Clearing, Bliss, Version, Danly stamping presses from 2000Ton to 400 ton capacities, with all OSHA inspected safety gear, controllers, conveyers and roll feeder equipment included. Click here to see all this automotive plant liquidation listings, photos and spec sheets. 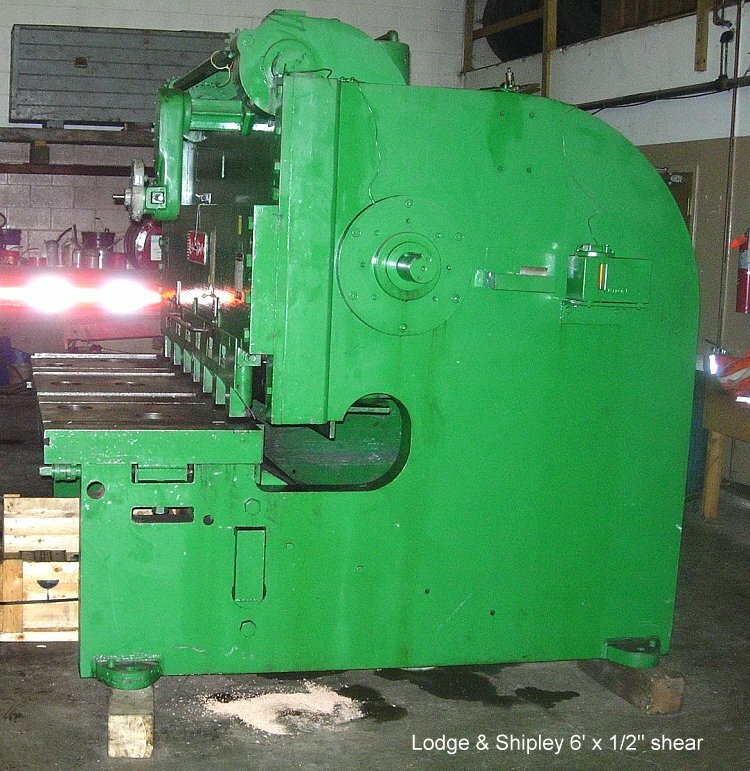 Danly, Verson, Bliss and Clearing used automotive metal stamping presslines for sale a liquidation prices.Techmachinery is pleased to announce this opportunity to place a bid on all, or part of this Big 3 stamping plant liquidation, which can be shipped worldwide. Location inspections in Detroit MI. Call (586) 773-8822 for pricing,photos and power-on inspection appointment. 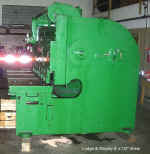 Additional listings: Newer model Eagle Model EPT-60 2-1/4" capacity and Adaptive Motion used CNC Tube Benders for sale. 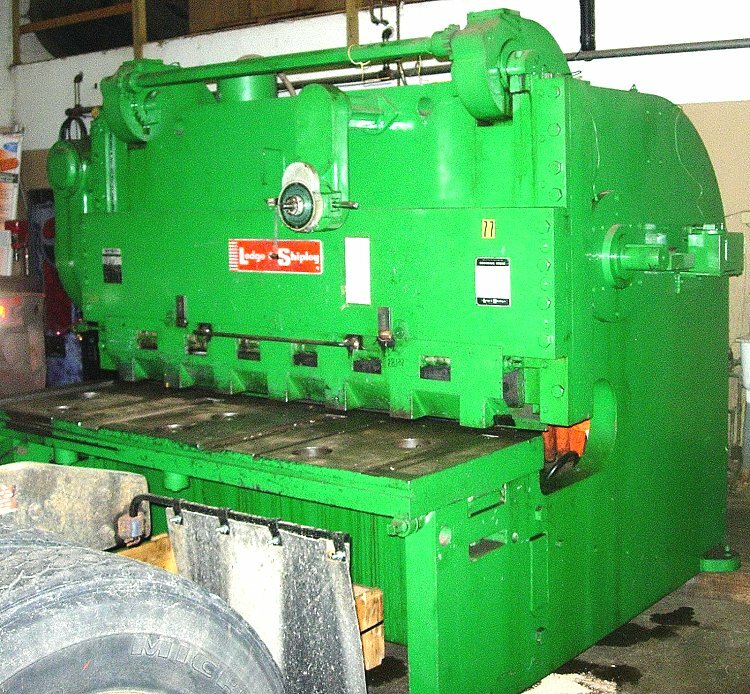 10'x1/4" Guilfil Hydraulic Shear, 8' 70 Ton 2-axis CNC Guilfil Brake, 10' 240 Ton 8-axis LVD CNC controlled Brake and 10' x1/2" LVD Hydraulic Shear also available. Navigate our listing page at Techmachinery.com for additional types of metal working, production line stamping and plastic molding gear. Take a look at these and save your plant some real money as these will be re-sold at liquidation prices. Immediately available!